Recently, my animal fanatic daughter Nola was scrolling through pictures of tigers on the web. Because what else do you do when you are six, and can endlessly bask in the light of free-time? Strutting around in leather pants and vest, chest hair flapping in the wind, bossing giant tigers around with the crack of a whip and the stance of a superior alpha male, all while hoping my armband does its job in containing my bulging bicep. There are much worse things I could do with my time. It made me feel good that she thought I was that cool. She saw a guy standing confidently as he commanded the ferocious man-eaters behind him to do the Macarena and thought, my dad would fit that bill. She did not say, “Dad! You would love doing this guy’s taxes.” Not that being a tax professional isn’t cool. 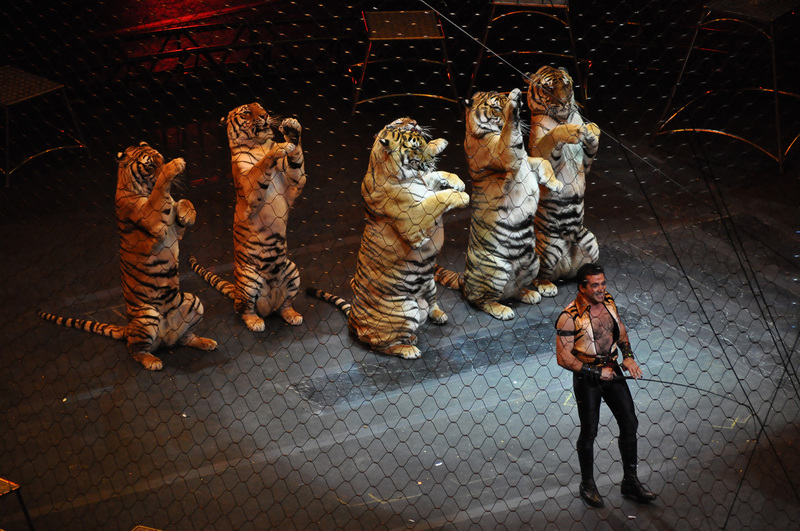 But a tiger tamer is another level. My daughter probably thinks the only reason I have not pursued the large cat training and performance field is simply because we do not live in southeast Asia, and such animals are difficult to come by. She doesn’t even question if I’m capable or qualified to tame tigers. This tells me two things. One, a child’s idolization for their father is blind. And two, that’s not true because my dad can do anything. Sadly though, I’m not a tiger tamer. I want to believe that my daughter’s confidence in my ability to be a tiger tamer stems from something my wife and I are instilling in her. Every time she says that she wants to grow up and be a zookeeper, or a singer, or a dinosaur, we tell her that she can, and how awesome it would be(maybe the “dinosaur” thing means she’ll get into genetic splicing, or maybe she’ll run an online business through a 56K dial-up modem). My wife and I have never frowned and asked her if she has really thought a profession through, made a pros and cons list, and considered the schooling required. For my kids, the possibilities really are endless. For me, I’ve already used up thirty years by not looking for the perfect pair of leather tiger taming pants. Let’s be honest, if a perfect pair does exist it could take most of my natural life to track down. Whether it’s Culver’s or NASA, right now my kids think they can do anything. They also think their dad can do anything. I wouldn’t accept major career advice from them, but confidence can breed confidence. And it’s coming full circle. I approach my goals and dreams with stronger footing when I look at myself through my kids’ eyes. Hopefully this confidence cycle will one day push us all into doing what we want to do. We’re coming for you tigers. Insert photo credit: “Ringling brothers over the top tiger” by chensiyuan – chensiyuan. Licensed under GFDL via Wikimedia Commons. AWESOME. Can you be my dad? hahaha! Oh Lord, help me be the man my daughters think I am, and more importantly to be the man You think I am. Dad, you are everything I admire in you – no blindness. Ry, I love this. It helps solve something for me. I heard a celebrity say once (and he was in the dad-ing context), It’s not true that you can be anything you want. He explained that he could not be a professional football player; he never had the athletic build or ability for that. He became a singer/actor (I think it was one of the New Kids on the Block….). Anyway, I knew he was right, but it’s always eaten at me in one small way and now I know why. Yes, it’s true that we can’t be absolutely anything we *think* we want to be. But there is no reason to tell ourselves we can’t be that before we even try. Once we discover no amount of training can get us where we were thinking, by then we will probably realize it’s not the only thing we want anyway. There are SO MANY THINGS TO BE.